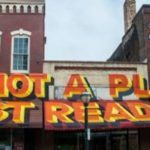 Please join Accidental Player for a night of readings featuring Shira Dentz, Suro Kim, and Geoffrey Babbitt on Saturday, November 17 at 7 pm at Wooden Shoe Books, 704 South St, Philadelphia, PA .
Shira Dentz is the author of five books, most recently how do i net thee (Salmon Poetry), the sun a blazing zero (forthcoming, Lavender Ink), and Sisyphusina (forthcoming, PANK ), and two chapbooks including FLOUNDERS (Essay Press). Her poetry, prose, and visual writing have appeared widely in venues including Poetry, The American Poetry Review, The Iowa Review, The Brooklyn Rail, The Academy of American Poets’ Poem-a-Day series, and NPR. She’s the recipient of awards including an Academy of American Poets’ Prize and the Poetry Society of America’s Lyric Poem and Cecil Hemley Memorial Awards. Before pursuing graduate studies, she worked as a typesetter and graphic artist in the music industry in NYC. A graduate of the Iowa Writers‘ Workshop, she holds a PhD in Creative Writing and Literature from the University of Utah, and is currently Special Features Editor at Tarpaulin Sky and teaches creative writing at Rensselaer Polytechnic Institute in Upstate New York. More about her writing can be found at shiradentz.com. Geoffrey Babbitt is the author of Appendices Pulled from a Study on Light (Spuyten Duyvil 2018), which was a finalist for the Colorado Prize for Poetry, the Robert Kroetsch Award in Innovative Poetry, the Richard Snyder Memorial Publication Prize, the Madeleine P. Plonsker Innovative Poetry First Book Prize, and the New Measure Poetry Prize. His poems and essays have appeared in North American Review, Pleiades, Colorado Review, DIAGRAM, Notre Dame Review, TYPO, Tarpaulin Sky, The Collagist, and elsewhere. He holds a Ph.D. from the University of Utah and teaches at Hobart & William Smith Colleges, where he also coedits Seneca Review. geoffreybabbitt.com.